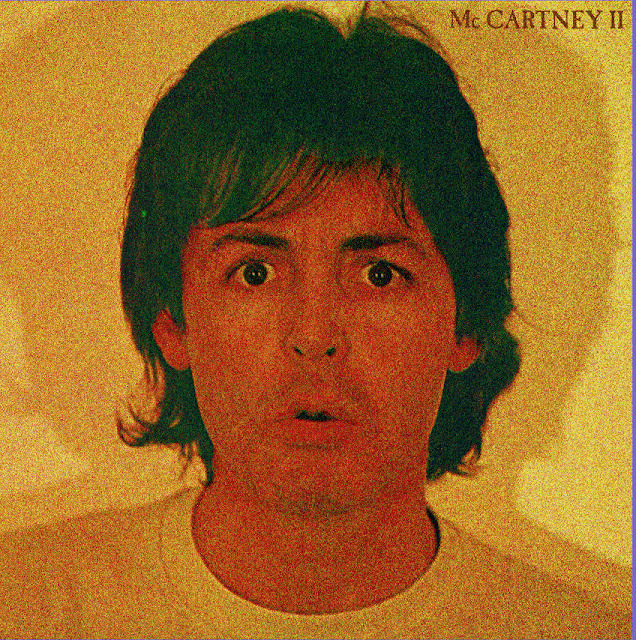 McCartney II: Paul's stark cover for the album. Ten years after his debut solo album 'McCartney', Paul released the highly experimental and at least a decade ahead of it's time, 'McCartney II'. This was only his third completely solo release (the other nine being with Wings) and was released at a time when Wings' were in limbo. It seems Paul was unhappy with the way 'Back To The Egg' turned out and began recording on his own in July 1979 at his titular titled 'Rude Studio' on his farm in Scotland. What these sessions yielded was the lion's share of 'McCartney II'. He'd been very productive, recording 20 songs, the first being 'Check My Machine' as a way to test his recording equipment. Undecided on what to do with the recordings, he shelved them for the time being and began preparations for a UK tour with Wings that winter. During that tour Wings performed a new song that Paul had written; 'Coming Up'. This live version of the song, recorded in Glasgow, produced a more fuller sound and was released as the B-Side to the studio recorded version in April 1980. The live version is subsequently more well known in the US whereas the studio version is more known in the UK. 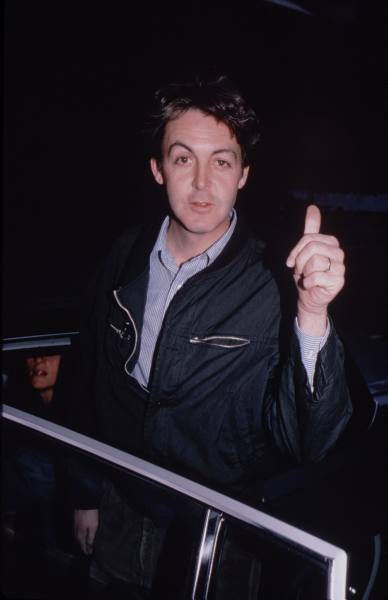 That January, Wings' tour of Japan had a false start when Paul was arrested upon entering the country due to them finding a bag of Marijuana in his luggage. This cancelled the tour and this event seemed to confirm that Paul was finished with Wings and wanted to truly go solo. That May, the album came out and went straight to number one. 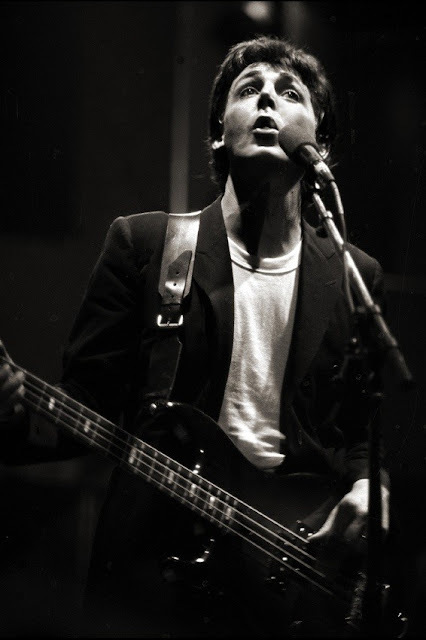 Coming Up: McCartney performing with Wings on their Winter UK Tour in 1979. The main thing I like about the album is it's improvised sound. This is Paul McCartney making music without really thinking about it and that for me is what makes McCartney II one of my favourite albums of Paul's. Indeed, his jam 'Check My Machine' is probably my favourite track on the album. His bass has a wonderful tone to it and cuts through everything else to make it the lead instrument. Another single from the album that I love is 'Waterfalls', an electric piano driven song that should have been a bigger hit than it was at the time. All in all, McCartney II was another of Paul's masterpieces. Whether you're a fan of Paul McCartney or not, you have to give him credit for keeping it up. There were long periods between albums for John, George & Ringo but Paul kept churning them out no matter what people thought of his music, simply because he can. 'Temporary Secretary' is another fun track and probably the single track that is thought of as being ahead of its time. The synthesizer loop, the plodding drums and Macca's lament of "how hard it is these days for young girls in the face of everything to stay on the right track" are what make this track one of Paul's unloved songs. In 1980, Paul McCartney proved that with 'McCartney II' he was still a force to be reckoned with in the music world.